5 September 2018 – Founded by technology enthusiasts and supported by an eminent advisor pool, the Eligma company is dedicated to changing the world of commerce as we know it. After the success of their public crowdsale in May, which raised over 10 million USD despite market uncertainties, the company is launching several of its solutions. 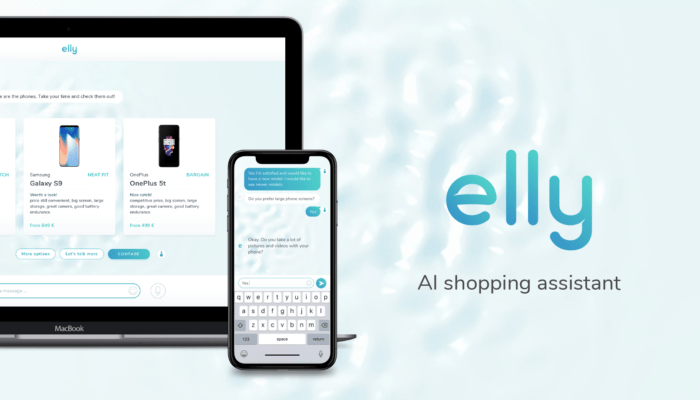 One of them literally said hello to the world today: Elly, an AI assistant who helps shoppers find products according to their exact specifications but is also on a lookout for something better for the same or less money like any good advisor or friend. As an MVP (Minimum Viable Product), Elly is currently in training but promises to learn very fast through user interaction. Another Eligma’s product, however, aims to operate as a bridge between the mainly online crypto world and daily shopping. Elipay is a solution for paying with cryptocurrencies at online and offline stores. It is currently being tested at nearly 60 stores and will be publicly available on 12 September, with numerous innovations still to follow. • Elly can remember interactions with the user for future reference and personalized shopping. • user interaction and data will be used for constant improvements, which will make Elly increasingly ‘smarter’ as time goes by. Apart from effective product discovery, Eligma, a member of Blockchain Alliance Europe, also aims to further the use of cryptocurrencies in daily life. On 12 September, the team is launching Elipay, a mobile application for paying with cryptocurrencies at offline and online stores – initially in Slovenia, with the international market to follow soon. Currently tested at nearly 60 stores in BTC City – one of the biggest Central European shopping and business centers changing into world’s first Bitcoin City™, implementing the use of the latest technologies to create the next-generation consumer experience. Eligma has also developed its own native crypto token – ELI, which will be at the core of its commerce solutions and is currently listed on BitForex, Livecoin, Bancor, Tokens and Coinbe. Eligma is set to change the way people discover, purchase, track and resell items online. With its unique features, it will offer users a ‘one-place’ platform to shop at all online stores anywhere in the world, check the value of the items in their inventory, and learn the best time to sell them. Eligma will offer users a decentralized universal loyalty program and help transform every household into a business. It also aims to bring cryptocurrencies mainstream through Elipay, a system enabling crypto transactions at online and offline stores even if those stores don’t accept cryptocurrencies yet.